Try as we might to compete with a store-bought marinade, we just can’t improve upon this one. Well played, President’s Choice. Well played. Not only is PC Memories of Korean Barbecue grilling and glazing sauce bright and clean tasting, that touch of pear puts it over the top, in our opinion. 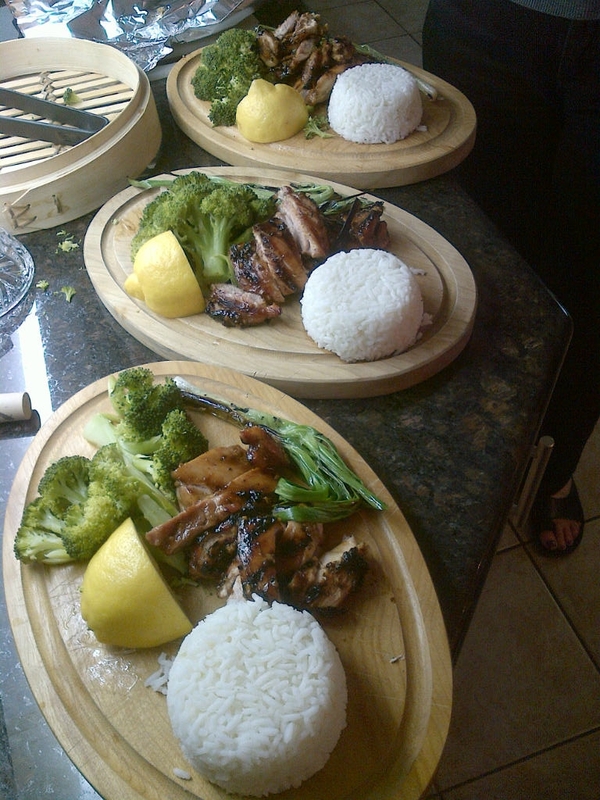 The soy, sesame, rice vinegar and sweet fruit is absolutely dynamite for barbecuing chicken. We’ve been marinating boneless, skinless thighs and blasting ’em on a hot grill. The result? Perfectly charred and sticky barbecue. What could be easier? Rinse rice and drain. Fill sauce pot with coconut water, chicken broth, coconut milk, lemongrass, ginger, turmeric, and salt. Bring to a boil, add rice and return to a boil. Cover and reduce heat to low for 15 minutes or until done. Remove from heat and let stand for 5 minutes. Remove lemongrass and ginger slices. Traditional Balinese presentation: pack rice into individual mold or 1 cup measuring cup. Unmold onto each plate. 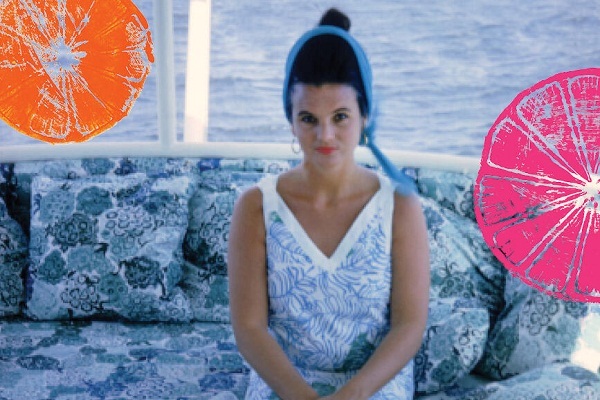 Wise words from Lilly Pulitzer, the Palm Beach hostess with the mostess. 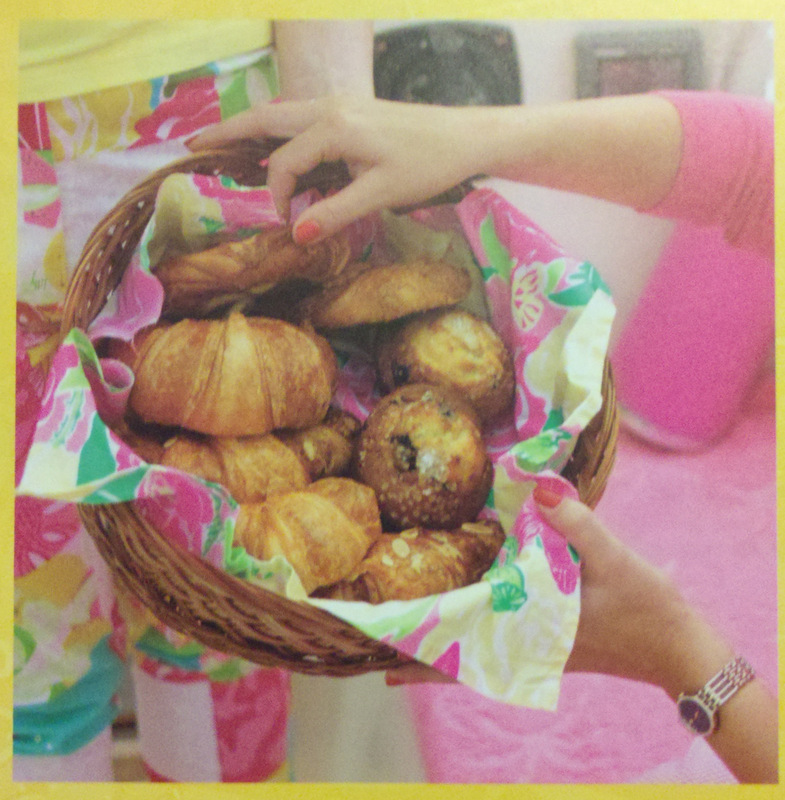 We love nearly everything Lilly, including her party recipes. Perfect for a spring brunch are her marvelous muffins and Bloody Marys. 1. Preheat oven to 375 degrees. Lightly butter standard-size muffin tin. Using electric mixer, cream butter and 1 1/2 cups sugar. Add eggs one at a time; beating between additions. 2. Whisk floue, baking soda, baking powder and salt in a medium bowl to blend. Add dry ingredients to egg mixture in three additions, beating well between additions. Add lemon juice and zest and beat to combine. Gently fold in sour cream, then blueberries. 3. Spoon batter into prepared muffin tin, filling each about 3/4 full (bake any leftover batter in custard cups of ramekins). Sprinkle tops of muffins with coarse or additional regular sugar, using about 1/4 teaspoon of sugar for each. Bake muffins until tester inserted into center comes out clean and tops of muffins are golden, about 35 minutes. Cool slightly; turn out of muffin tin and serve warm or at room temperature. This spicy and fresh-tasting take on the classic brunch cocktail makes it ideal for warm-weather entertaining. Garnish with skewered vodka-soaked grape tomatos and lime wedges dipped in paprika. 1. In a large blender, combine tomato juice and jalapeno, blend until pureed. 2. Pour tomato mixture into large pitcher. Add vodka, lime juice, horseradish, Worcestshire sauce, hot pepper sauce and ground black pepper; stir until combined well. Cover and refrigerate until cold, at least three hours. 3. Fill glasses with ice. 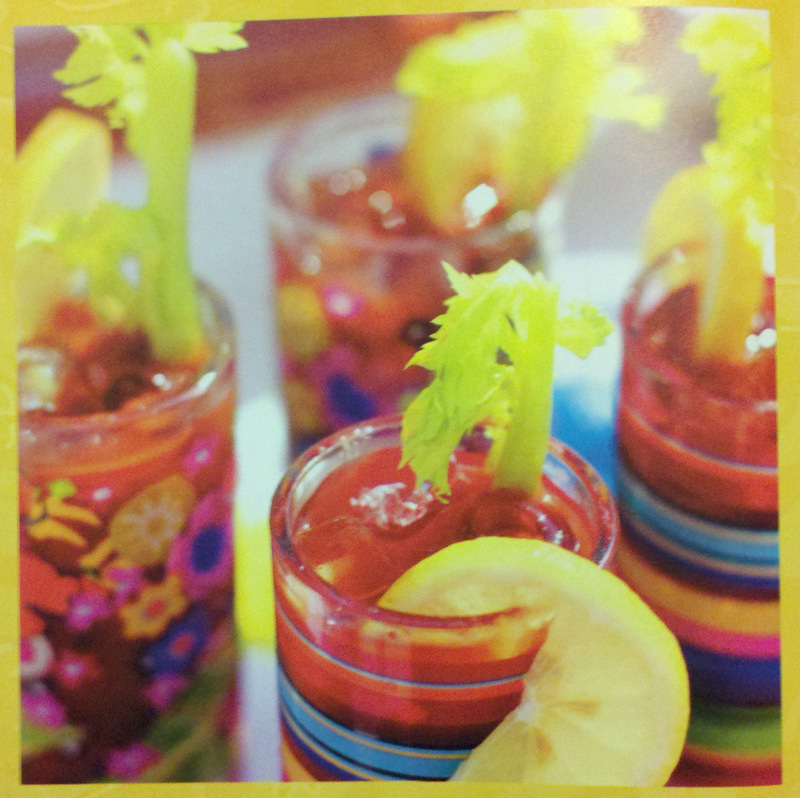 Pour Bloody Marys over ice. Serve, passing additional hot pepper sauce and vodka. Make sangria a day before brunch so flavors have time to blend. Mix wine, liqueur, grapes and raspberries in a large covered container or nonreactive bowl. Cover and refrigerate until well chilled, at least 6 hours or preferably overnight. To serve, divide sangria and fruit between wine glasses. Garnish with orange slices. Serve chilled. Lobster and crab may be substituted with mussels, in or out of the shell, grilled diced swordfish or cooked calamari. Acids in the vinaigrette will keep the avocados from turning brown so the salad may be made a few hours ahead of time. To prepare seafood, bring 2 quarts water, wine, onion, thyme, salt and peppercorns to a boil over high heat in a large nonreactive (stainless steel) saucepan. Add scallops and cook just until they turn opague, about 3 minutes. Using a large skimmer or wire strainer, transfer scallops to a rimmed baking sheet. Add shrimp to same liquid and cook until they turn opague, about 3 minutes. Transfer shrimp to baking sheet and cool completely. Cut shrimp in halves lengthwise. Cover and refrigerate until seafood is chilled, at least two hours. The seafood can be prepared 1 day ahead and then covered and refrigerated. Line a large platter with lettuce leaves. Heap salad in center of platter. Drizzle a few tablespoons of Lime Vinaigrette over lettuce and pour remaining Lime Vinaigrette into a small sauceboat. Serve salad chilled with Lime Vinaigrette passed on side.